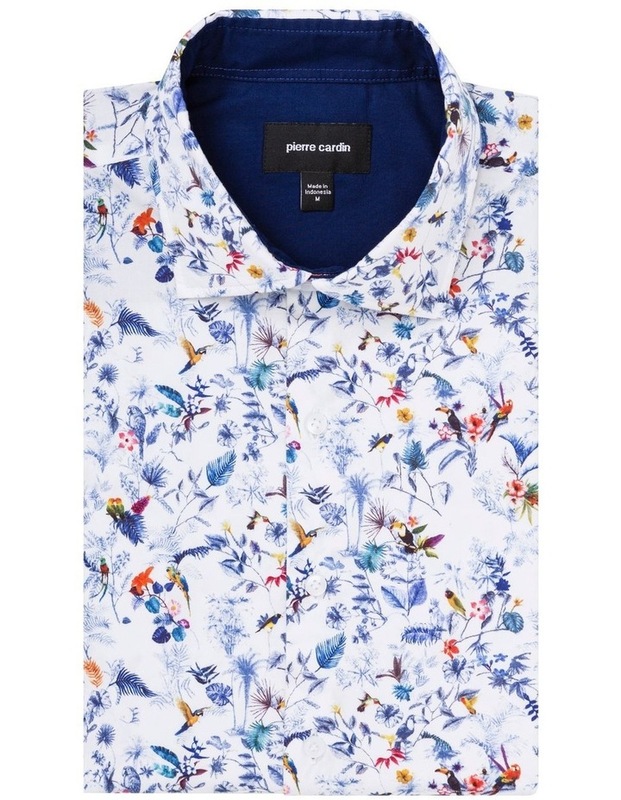 This Pierre Cardin Flower Print Business Shirt is your contemporary wardrobe staple. 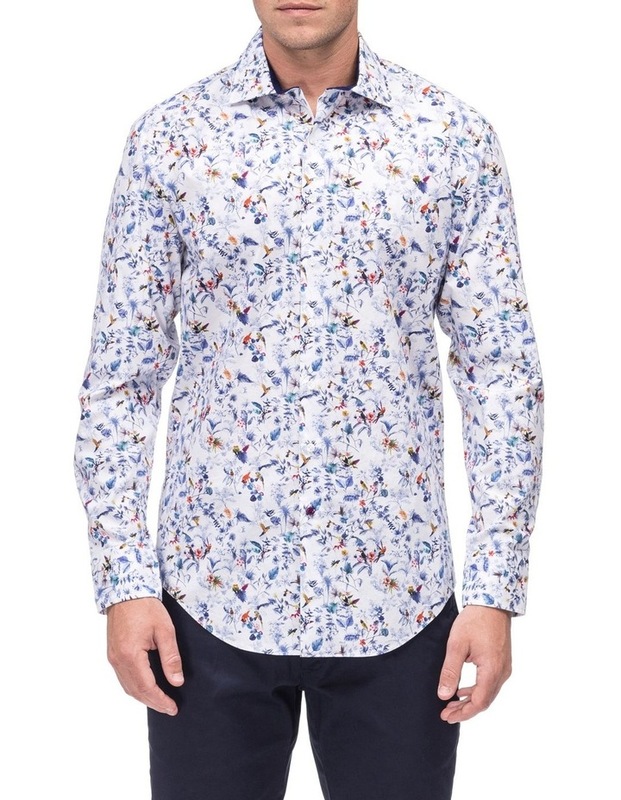 This impeccably tailored Slim Fit design with a button down collar, squared cuff and semi spread collar ensures a sleek silhouette. 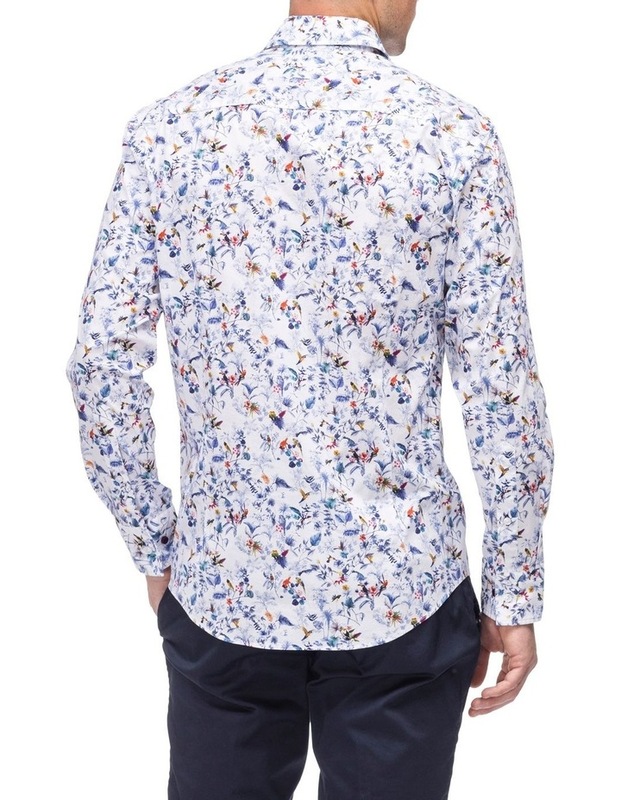 Wear with a Pierre Cardin Suit Jacket for a more polished look or with a Chino Pant for a business casual aesthetic.